Cheyenne, Wyo., is set to host the country’s first bare-knuckle boxing card since 1889 on June 2. So what’ll they sell at the concessions stands, knuckle sandwiches and cauliflower ears? Cheyenne, Wyo., is set to host the country’s first bare-knuckle boxing card since 1889 on June 2, using current professional boxers and former UFC and Bellator fighters. Which certainly doesn’t give any John L. Sullivan wannabes much time to grow their handlebar mustaches. Wisconsin canceled its spring football game after weather forecasts called for heavy rain and thunderstorms. Rumor has it the Badgers plan to make it up next year with a day-night doubleheader. The Giants scored 1 or 0 runs in six of their first nine games this season. On the bright side, though, they’re already up to third in our latest MLS power rankings. Hear about the next MLB brainstorm aimed at hippies and stat nerds? They plan to call it Make Love, Not WAR Night. 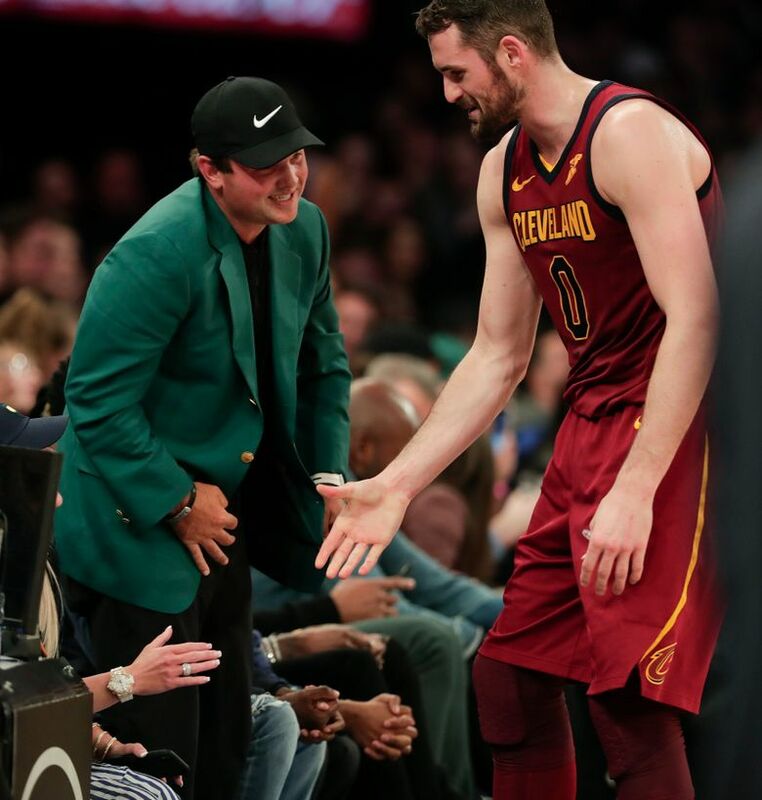 Patrick Reed has been spotted seemingly everywhere since winning the Masters, still wearing his green jacket. The movie-theater stop proved a bit awkward, however, when patrons wouldn’t stop handing him their tickets. Does anyone else find it bizarre that, right after the NFL finally clarified its definition of what constitutes a catch, the Cowboys drop Dez Bryant? If 5½-foot Astros star Jose Altuve ever needs to do some injury rehab in the minors, we’ve found the perfect team to do it with: the Jacksonville Jumbo Shrimp. The laughingstock Miami Marlins are trying to get out of a local lawsuit by claiming the franchise is actually headquartered in the British Virgin Islands. What, the Bermuda Triangle wasn’t available? Reports of a tiger walking around New York City turned out to be merely a large raccoon. In other words, the animal-kingdom equivalent of preseason Yankee hype. The rate of MLB batters getting hit by pitches is up 17 percent over 2017. In a related story, the AL East has just been renamed the Black and Blue Division. Why don’t tennis players celebrate a big championship by cutting down the net? Reporter A.J. Bayatpour of Milwaukee’s WITI-TV is off the air — at least temporarily — following his arrest for allegedly punching reporter Ben Jordan of rival station WTMJ three times at a Brewers-Cubs game. Well, duh — three strikes and you’re out. A truck carrying beer kegs fell off an overpass in Pennsylvania. Frat boys coast to coast immediately took three days of bereavement leave. Hapoel Holon, Israel’s top basketball team, released league scoring leader Glen Rice Jr. for punching a teammate in the face in the locker room. Or, as Rice apologists tried to spin it, he was merely boxing out. Ronda Rousey teamed up with Kurt Angle and won in her WrestleMania debut. Now that right there is some real fake news! The NBA playoff field is set, although the first four out — the Nuggets, Clippers, Pistons and Hornets — were wondering why they didn’t get a play-in game. Defense lawyers are expected to argue that Davis can’t be a bomb threat: His longest NFL catch covered just 29 yards. Florida State quarterback Deondre Francois has been cited for misdemeanor possession of marijuana. Well, the scouting reports do say that say he’s pretty good on rollouts. Adults should average no more than one alcoholic drink per day, according to a new international study. With the obvious exception of, say, Browns fans. • “It is early in the season and the weather is not great. • “The team is not very good. Golfer John Daly hurt his knee during Masters week after he jumped to avoid an oncoming car that struck his parked RV while he was standing in the parking lot of the Augusta Hooters. The Senior Tour lives! Don Byers, 61, plays on Bellevue (Neb.) University’s seven-man golf team. Even more amazing: He’s a freshman. What’s more rare in baseball than unassisted triple play? Nats pitcher Max Scherzer, in a 2-0 win over the Braves, joined Nolan Ryan as the only pitchers since 1920 to throw a shutout, record double-digit strikeouts and steal a base in the same game.